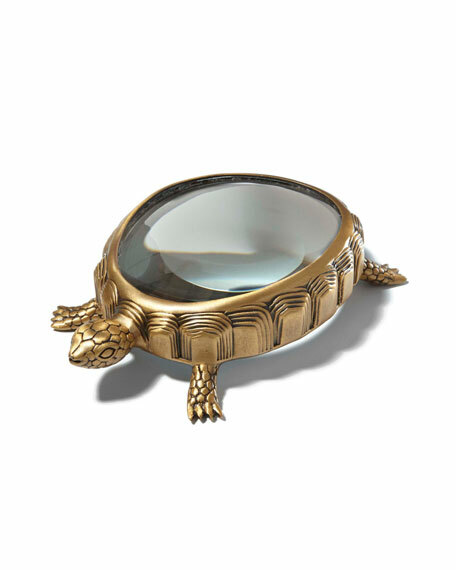 Turtle magnifying glass with brass frame. 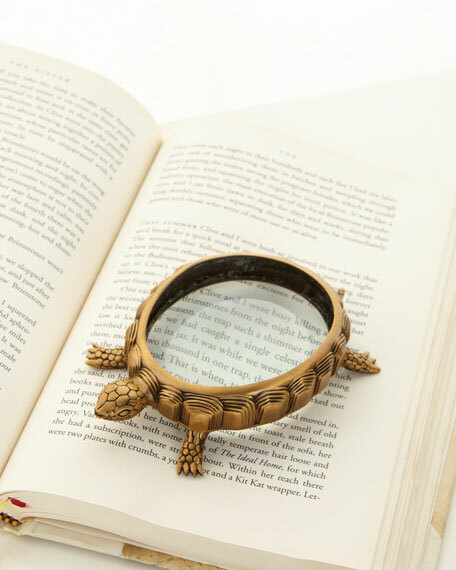 Presented in luxury gift box. 5"L x 3"W x 1"T.